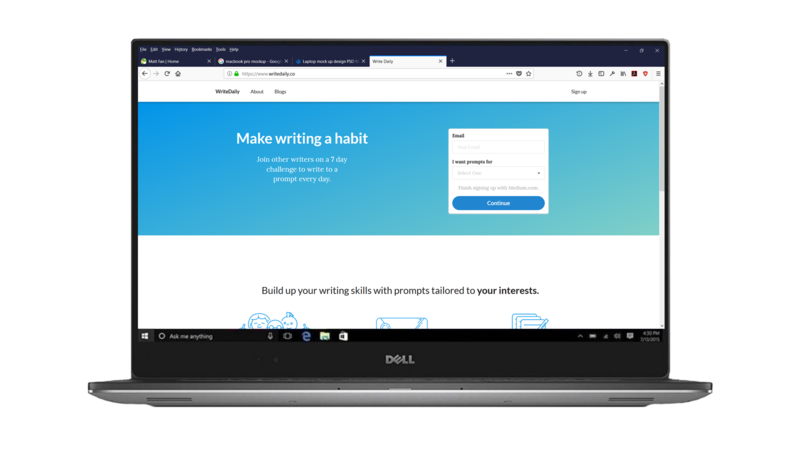 WriteDaily is a one-week daily writing challenge that I built and launched with two friends over the course of a week. I led the front-facing elements, including branding, front-end, and email design and content. 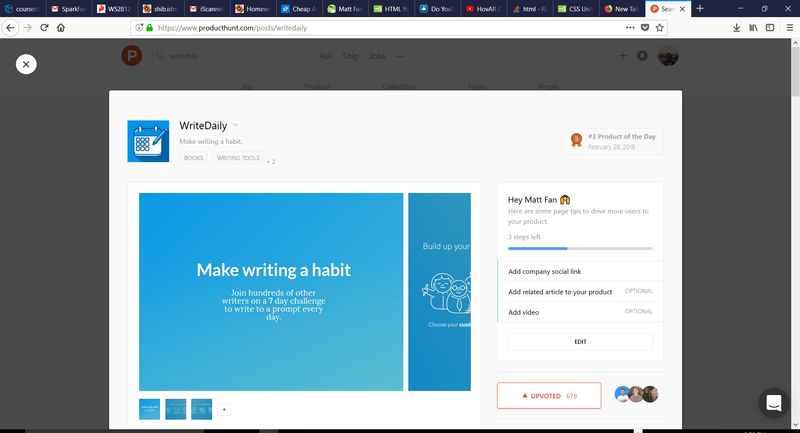 WriteDaily was featured as the #3 Product of the Day for February 28th on Product Hunt! The service works by getting users' emails and writing preferences, and sending daily email reminders. We used Medium to authenticate users, and allow users to easily write and share their work. The live site is built on Handlebars.js, EmailOctopus, AWS and Digital Ocean. I wrote the front-end code in HTML, CSS, and JS/Jquery, and the SemanticUI library, which is what is used on the live site. 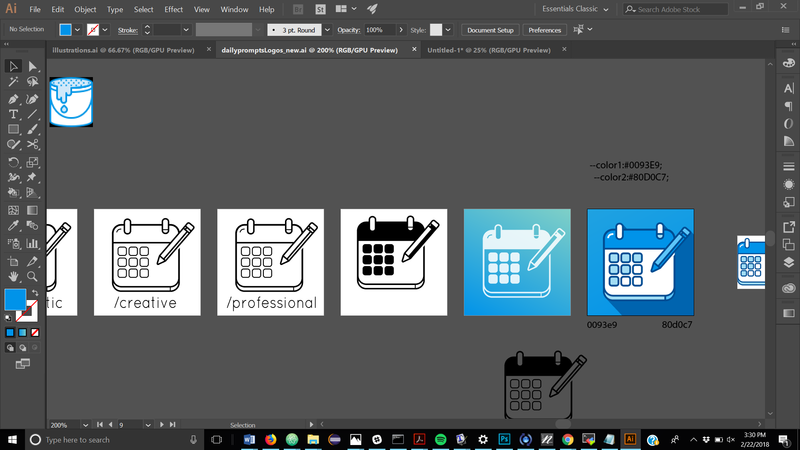 Working on the concept for the WriteDaily logo. #3 Product of the day, with over 600 upvotes on Producthunt! 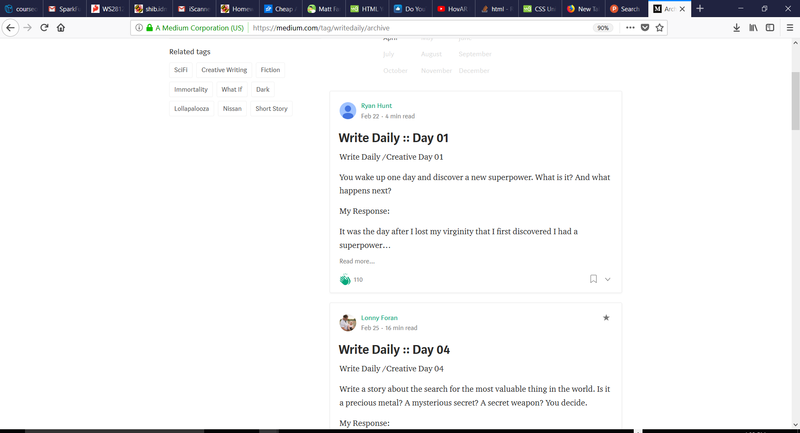 Over 150 posts on Medium through WriteDaily! It was really cool to work on this project, and challenge ourselves to build a product and get users in such a short amount of time. The site is no longer live, but you can see some of the things that our users have written here.